Any candy apple at any vendor at the Walt Disney World Resort—you can’t go wrong! There are candy apples that are just that—apples covered in chocolate or chocolate and marshmallows, caramel and nuts, chocolate and chocolate candies and other “traditional” goodies. And then there are candy apples that are anything but traditional—Mickey apples, Minnie apples with pink and dots and bows, apples inspired by Goofy, Olaf apples, Maleficent apples and more! Pick your favorite character—chances are there’s an apple for that! Even Nemo, Dory, Kermit the Frog, Mike and Sulley and more! If you don’t see what you want, just ask—they may have it! 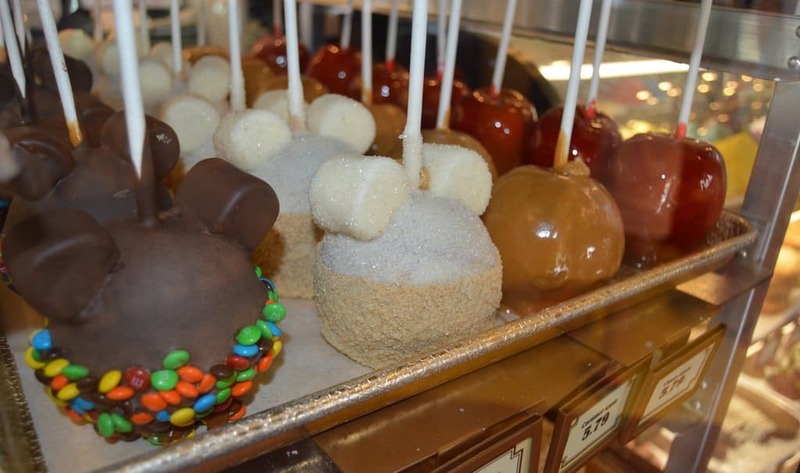 There’s no wrong way to enjoy a candy apple at Disney World—unless, of course, you just don’t!